TDI’s Geographical Information Systems (GIS) Mapper / Database Manager, Mufaro Masuka, was asked to be a key presenter at Juba University in South Sudan as part of GIS Day 2015 on November 11. 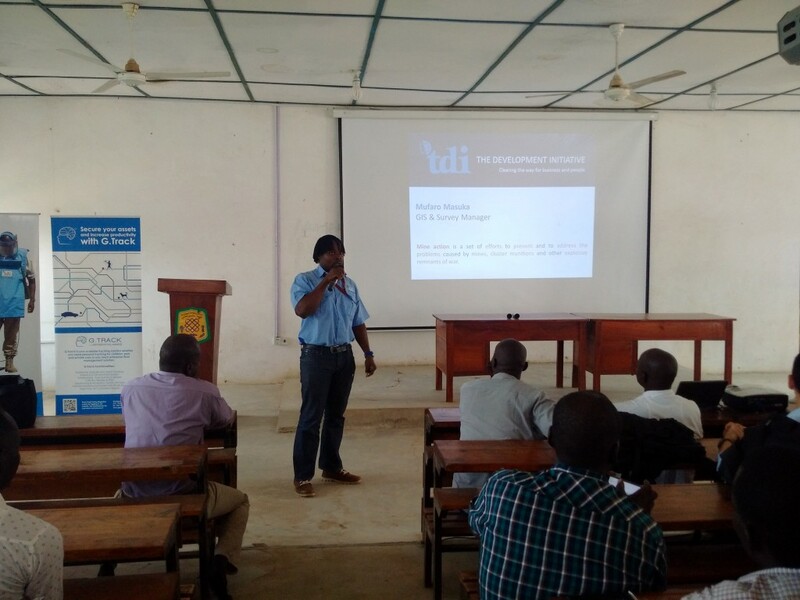 Mufaro showed an informative presentation to over fifty people on the benefits of using Geographical Information Systems for the work that TDI conducts. TDI uses the OmniSTAR enabled Trimble ProXRT GNSS Receiver Differential Global Positioning Systems (DGPS) device, for all our tasks. The Trimble DGPS system has enabled high accuracy in calculating areas of cleared land, location and length of cleared/verified roads which is integral to keeping accurate records of clearance activity. TDI team leaders have gone through rigorous training provided by Masuka, an expert in GIS technology, which has led to TDI being considered the leaders in high accuracy GIS data collection in mine action for South Sudan.